The sun can worsen the look of scars and continue to damage the tissue that has already been through a traumatic experience. Protecting your scar so other health issues do not arise is highly crucial, which is why Mederma® Scar Cream Plus contains an SPF 30. The sun can actually make scars appear darker and this makes them more visible! So why not protect your scar and help diminish its appearance all together? By using Mederma® Scar Cream Plus SPF 30 on a daily basis, you may be able to achieve visible results and diminish the appearance of old and new scars, such as burns, surgery scars and additional forms of scars. However, there is no information published stating that this formula can help reduce the look of Keloids. Keloids commonly develop and are often harder to address because they continue to grow when left unaddressed. There was no information stating that Mederma® Scar Cream Plus SPF 30 was safe for use on Keloids, so we recommend the use of products that do market themselves as safe and effective for use on Keloids. You can see some of these options on the grid provided below. 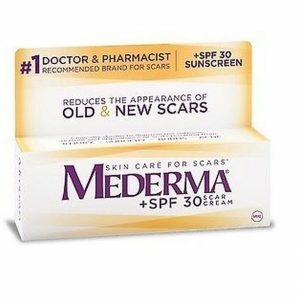 Mederma® Scar Cream Plus SPF 30 should be evenly applied and gently massaged into the scar 3 times daily until fully absorbed for 8 weeks on newer scars and 3-6 months on older scars. Begin using Mederma® Scar Cream Plus SPF 30 as soon as new skin has formed, typically two or more weeks after the injury or surgery. Make sure the scab has come off naturally and any stitches have been removed. On older scars you may start using Mederma® immediately. Do not apply to broken skin. Mederma® Scar Cream Plus SPF 30 does not contain 100% silicone in its formula. However it does contain an SPF 30 to help keep your scars from darkening and continuing to worsen in appearance. 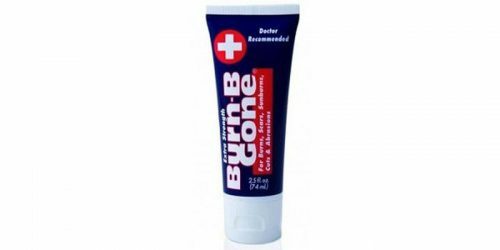 Use as recommended to achieve maximum results, if results may occur. Be sure to find a scar product that can be applied to Keloids for an affordable price. A MSRP is not provided for Mederma® Scar Cream Plus SPF 30.